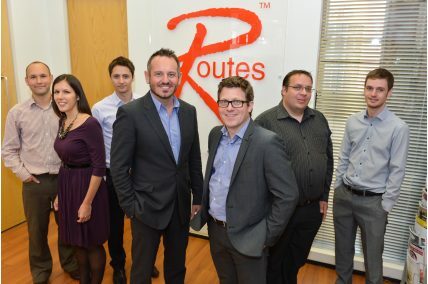 This year's World Routes at Abu Dhabi got off to an entertaining start over the weekend (29/30 October) as a large number of delegates attended the Saturday Reception, sponsored by Dublin Airport Authority (DAA) and The Gathering - Ireland 2013. Airline and airport executives from across the world mixed with tourism officials, suppliers, members of the media and the Routes staff for an informal night of networking to a background of an alternative twist on traditional Irish dancing. British Airways City Flyer has introduced a three times week daily service from London City Airport to Aberdeen using Embraer 170 and 190 e series aircraft. Flight time is 1hr 30mins with a two-class operation. 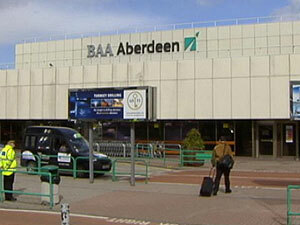 The flights also operate on a Saturday morning and twice pm Sunday. Delta Air Lines, now the official airline partner of Chelsea Football Club, has opened the doors of its new Delta 360° Lounge at Stamford Bridge, the London-based soccer team’s Fulham Road home. Located within the Millennium & Copthorne Hotel at Chelsea FC, the lounge will host Delta’s VIP guests on match days and provide a new venue for hotel guests and visitors for breakfast and refreshments. It is now easier to look up flights departing from Finnish airports. Finavia, the operator of Helsinki Airport, has introduced a new search service on its website for convenient searches of flight connections and schedules for all 25 airports it is responsible for. Monday and Tuesday (1-2 October) will see an event now rare in the airline calendar, a Civil Aviation Authority hearing between three airlines on, what will be for two of them, a new route. 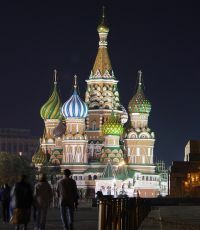 Currently there are two Russian airlines serving Moscow from London, Aeroflot (Sheremetyevo) and Transaero (Domodedovo) and legally two British airlines, BA and bmi (both Domodedovo). A brand new Holiday Inn at Southend Airport is opening its doors to the public today (Monday 1 October). See BTN 22 August 2011. The £10m hotel next to the Harp House Roundabout will provide high quality and convenient facilities for airport passengers and staff, as well as local business users and restaurant diners. The striking 129 room property is just a few minutes’ walk from Southend Airport’s terminal and railway station. 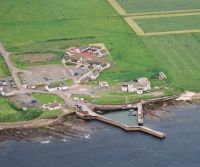 Check THE DAILY UPDATE at www.btnews.co.uk first thing in the morning (Tuesday to Friday). Described by one airline ‘old hand’ as “bloody amazing” easyJet has launched a new map-based search to help customers find the perfect trip. Called ‘Inspire Me’ it is designed to help customers discover exactly what they are looking for at the click of a mouse. Stefan is Managing Director of JustBook.com a free app that enables people to book the best hotel rooms, at the very last minute, at unbeatable prices. 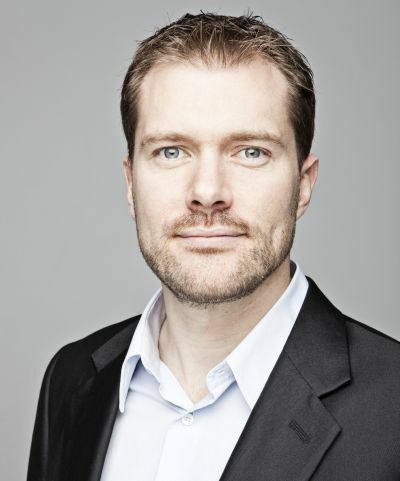 Stefan has worked in venture capital in London, Barcelona and Cologne and as a management consultant at Oliver Wyman in Munich. In his free time he is a passionate cook who travels a lot and likes to collect new recipes especially from Asia. IFTM (International French Travel Market) Paris Expo Porte de Versailles was the launch pad for a series of rebranding and product improvement by Air France. Hilton is to develop a franchise property at the Ageas Bowl / Southampton, England’s latest test match cricket venue and the home of Hampshire County Cricket Club. Expected to open in early 2014 it is part of an ongoing stadium development. Navigating through any large airport is always hard work but at Dubai International they are at least trying to tackle the problem. Dubai has a reputation for the amount of walking involved but things are set to get the easier. Some aerodrome renamings have been a total disaster. 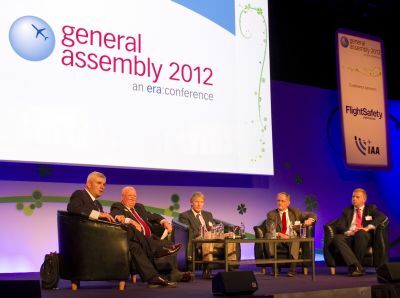 EMA became Nottingham, Derby, Leicester International, but natural forces have retained East Midlands Airport. Manston varies its label from time to time, but it is still at the west end of Kent, and various attempts to put London on the front of the official title of the capital’s six airports have only had limited success (and BTN does not use the prefix). Three Ryanair aircraft that made emergency landings in Spain in July were carrying more than the required level of fuel, but the company should still review its policy, the Irish Aviation Authority (IAA) has said. 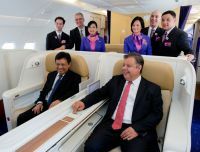 Thai Airways International has taken delivery of its first A380, becoming the ninth airline to operate the world’s largest airliner. Total deliveries now stand at 83 delivered out of 257 firm orders. Production is currently running at around 20+ units per year. The Shard, likely to quickly become one of London’s most popular visitor attractions in 2013, is one of the many newcomers to World Travel Market (WTM), Excel 5-8 November. The viewing platform at Western Europe’s tallest building opens 1 February next. No yet for the Shangri La hotel, but summer 2014 expected. The European regionals meet at Dublin. For this year's event the theme was all about survival, after a year dominated by casualties in all sectors of the airline business - legacy, low cost and regional. (In Europe Malev, Spanair, Air Finland, Skyways Express, Cimber Sterling and most recently, bmi baby, have gone). 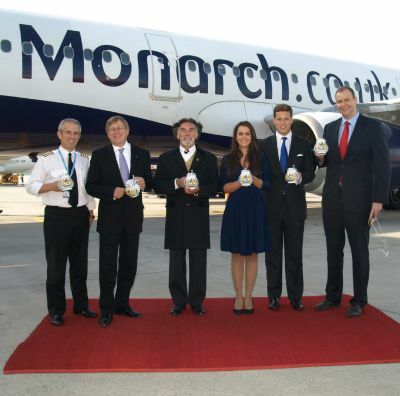 Munich Airport celebrated the inaugural Munich flight of UK-based carrier Monarch Airlines with a (sort of) royal reception. If proof is needed that the Boeing 787 Dreamliner is going to be a really great aircraft over the coming years, in spite of its well published problems, launch customer ANA has placed an order for another 11. Welsh First Minister Carwyn Jones has announced that Cardiff Airport will be rebranded citing Liverpool’s John Lennon as an example (see also John O’Groats Airport). Some suggestions have been made but BTN would like to point out that the departed Beatle was world famous. Bassey International is one name that comes to mind, or perhaps “Jones” with or without Tom. 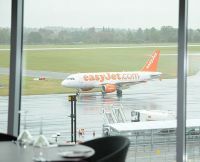 easyJet, the UK’s largest airline, has introduced an upgrade to its Bistro menu which is now available to all passengers onboard. The airline says that in direct response to passenger demand, the menu will now include a greater variety of filling snacks with sweet treats such as Belvita Yogurt Crunch, mini cupcakes, chocolate brownies and cranberry and oat cookies from £1.20. easyJet has also increased its savoury menu to include Heinz chicken and vegetable soup, pitted olives and a luxury nut selection pack from £1.50. 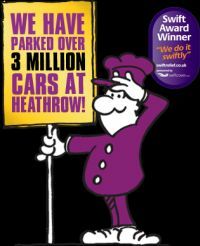 Heathrow parking specialist Purple Parking has reported a year-on-year increase in the popularity of its Meet and Greet valet parking services, with a 43% rise in the number of bookings for the service in 2012 so far. It seems that in spite of the recession travellers want to make the airport traverse as easy as possible. 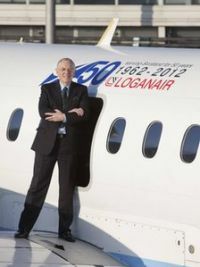 Loganair Chairman, Scott Grier, is to retire from Loganair but remains as President. Scott (70) has been at the airline 36 years and seen it grow from a small operator with a single DHC Twin Otter and 44 staff, to today’s 26 planes and 500 employees. 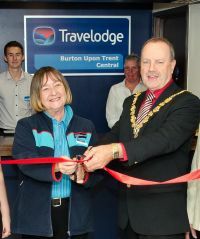 Almost three decades after opening its very first hotel in the UK, Travelodge is going back to where it all started with the opening of its latest hotel in Burton-upon-Trent. The opening is a real moment of nostalgia for the budget hotel operator, with the Staffordshire town the location of the group’s very first hotel, Travelodge Burton A48 Northbound, which opened in 1985. The lead Boeing 787 Dreamliner for United Airlines was delivered last week from Boeing Field in Seattle to the airline’s Houston hub. The aircraft is the first of five new Dreamliners the airline expects to receive this year from its total order for 50 of the aircraft. 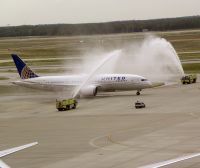 United is the first North American carrier to take delivery of the 787. 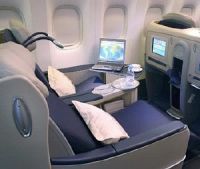 The aircraft will shortly begin a month-long training and certification programme including non-commercial flights to several of United’s domestic hubs. As the aircraft are inducted into the fleet, they will be based at United’s Houston hub and will enter into previously announced domestic service in November and international service in December. United is planning to operate its inaugural 787 commercial flight from Houston to Chicago 4 November 07:25.